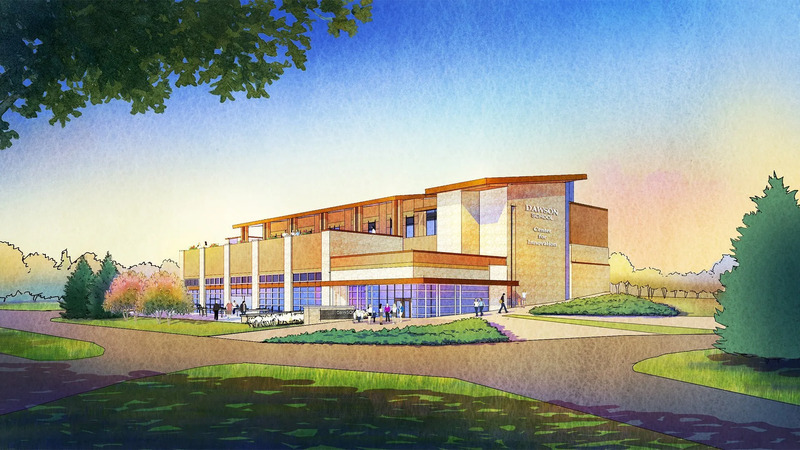 Charged with creating a campus plan that captures Dawson’s innovative curriculum while maximizing their spectacular campus and views, HCM first embarked on a campus master plan. The team led the school through a series of on-site collaborative workshops, designed to engage the entire Dawson community in the process. 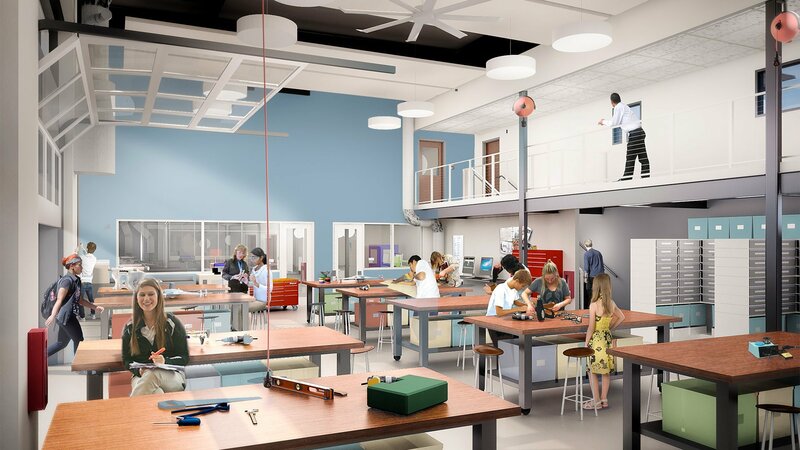 With a top priority being the creation of a new Innovation lab, the plan also explored ways to better align the facilities with the school’s different divisions and departments, while also creating a cohesive campus feeling. The building is envisioned as a K-12 science building, with science classrooms and labs for grades 6-12, including one room for elementary science. The science curriculum is supported by a shared makerspace and associated wood and metal shops and storage. 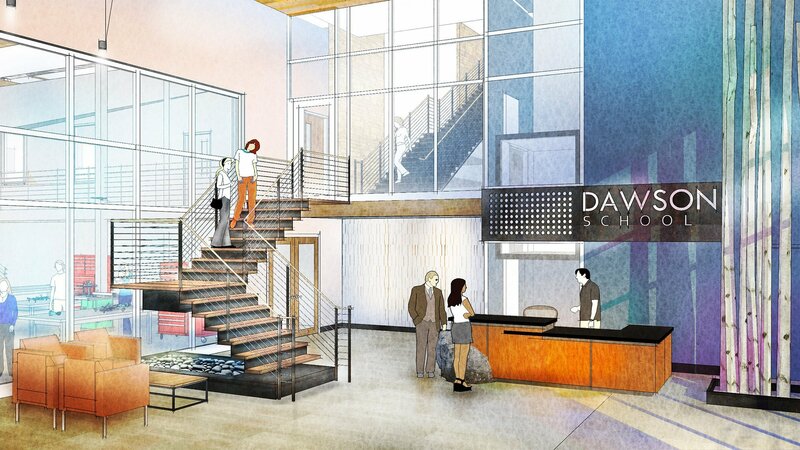 The Innovation Center also contains a campus welcome center, the first destination for visitors and prospective students. The building is designed with materials, proportions and size compatible with the existing nature of the Dawson School Architecture. The experience within the building is meant to connect to the outdoors through intentional visual connections to other buildings and campus features. The experience from campus is to connect with the indoors through visibility into a makerspace, putting the internal activities on display, and spreading internal functions out into the campus landscape.